Affordable Dumpster Rental of San Antonio..(210) 944-8801 Starting At $199! Welcome! 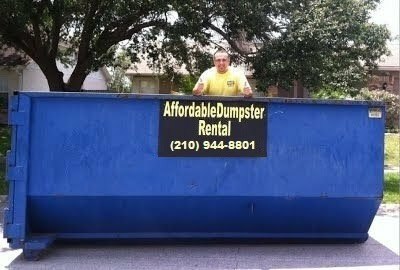 Looking for Dumpster Rental Prices in San Antonio? We are here for your Dumpster Rental needs! Proud to Serve San Antonio and Surrounding Cities! Affordable Dumpster Rental provides low-cost Residential and Commercial Roll off Dumpsters and Dumpster Bins starting at $199. We’re San Antonio's premier dumpster rental service to call today for rates and services. Our San Antonio Dumpster & Bin Rental Service includes: Residential Roll off Dumpster Rentals - Construction Dumpster Rentals - Bulk Trash Dumpster Rentals - Garage Clear Out Dumpster Rentals - Landscaping Waste Dumpster Rentals - Commercial Dumpster Rentals - Roll off Dumpsters and Bins for any job! "We Do Our Very Best To Service Same Day Dumpster Rental Services. A Friendly Suggestion Is To Place Your Order 48 Hours In Advance To Secure Your Desired Delivery Date." 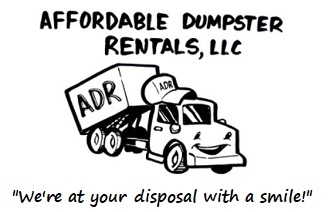 Looking for Dumpster Rental Prices in San Antonio? Depending on your business commercial waste needs, we have the right size dumpster bin for you. Our easy front loading commercial dumpster bin is an affordable and convenient way for any small business to service their waste needs. Front loading dumpsters bins vary in size from 4, 6 and 8 cubic yards. These dumpsters are ideal for restaurants, hospitals, apartments, grocery stores, gas stations, and many others businesses. Rent roll off or Dumpster Bin in San Antonio, for trash removal or construction waste removal. Our Dumpster Rental Service Areas include: San Antonio, Terrell Hills, Alamo Heights, Olmos Park, Scenic Oaks, Garden Ridge, Cross Mountain, Timberwood Park, Boerne, Hollywood Park, Fair Oaks Ranch, Shavano Park, Cibolo, Schertz, Selma, New Braunfels, Helotes, Castle Hills and all surrounding areas. Dumpster Rental Service Areas: San Antonio, Terrell Hills, Alamo Heights, Olmos Park, Scenic Oaks, Garden Ridge, Cross Mountain, Timberwood Park, Boerne, Hollywood Park, Fair Oaks Ranch, Shavano Park, Cibolo, Schertz, Selma, New Braunfels, Helotes, Castle Hills and all surrounding areas.